The 1996 Netherlands men's eight training—I think we have gone over this before, as this is clip is required viewership for athletes I coach. It highlights all the important points of rowing technique I emphasize: steady and connected acceleration on the drive initiated by the legs and the body holding its angle until the legs are nearly down, and strong core-pry off the end of the leg push without a crazy amount of layback. 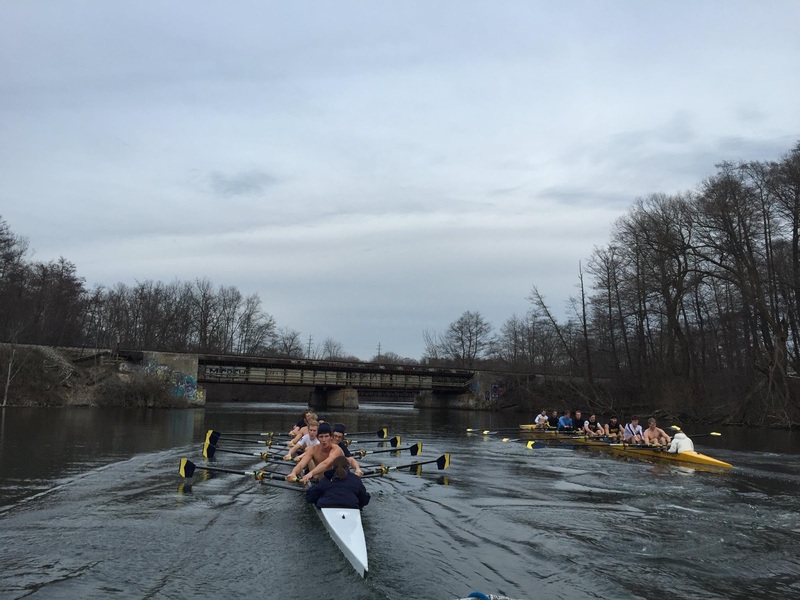 "'Undetected recovery,' as I call it, where the hull can't 'detect' the rowers movement." I also like their uniform recovery speed, where there aren't crazy fast hands away with exaggerated slow slide, nor a delay with a pause after the release and then an acceleration up the slide. It's even speed. 'Undetected recovery,' as I call it, where the hull can't 'detect' the rowers movement. I love this clip and send it to my athletes a few times a year so they tune in to gain an understanding of what I am looking for. And, just in case you haven't seen it... Here's what it looked like when the above Dutch men's eight took gold at the Olympics in Atlanta.